When I was in high school and undergrad, I never considered having short hair. 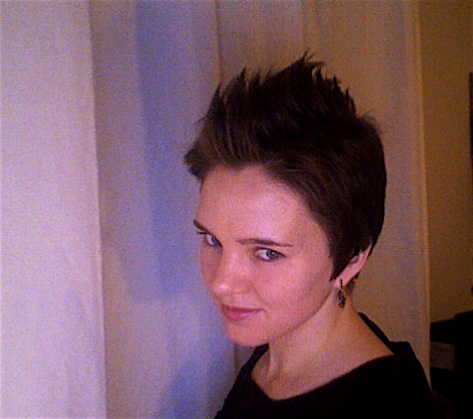 The general belief among my peers was, "guys don't like girls with short hair". Horrors! Now I know that's not true. Moreover, I don't really care what "guys" think. I like how my short hair looks and feels and that's all that matters. i actually like girls with short hair ...and glasses. i agree with everyone else - this is hott Andrea!